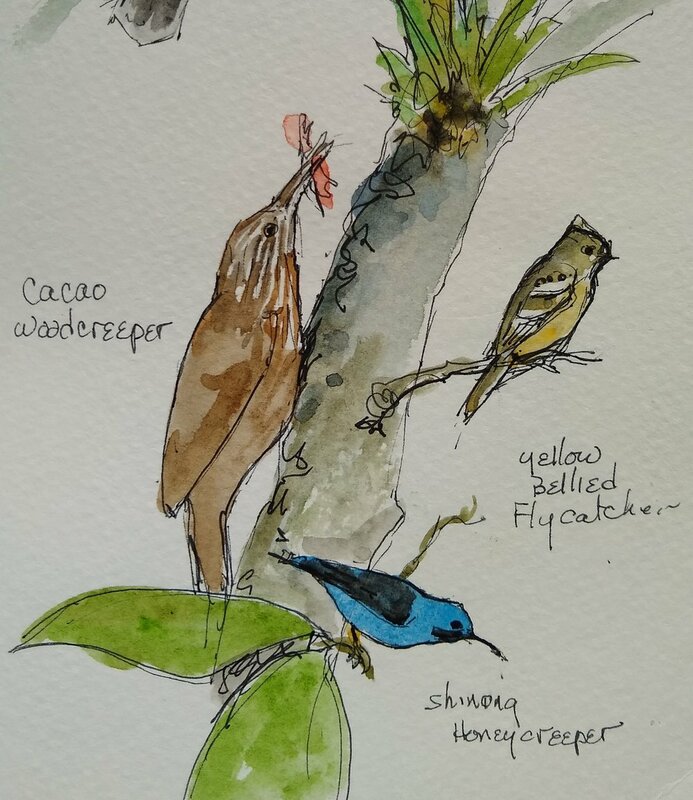 I found a sketch of a third honeycreeper, the Shining Honeycreeper which we saw on a hike later in the Costa Rica trip. Honeycreepers are common in Costa Rica. They are often seen at places where fruit is put out to attract birds. The Green Honeycreeper male is blue, but the female is green. The female Green Honeycreeper, unlike the male, is green.